The board voted to place a resolution for the deannexation of property from the City of Gainesville on the consent agenda during Monday’s work session. The resolution would need to be passed during Thursday’s voting meeting before going to the City of Gainesville for approval. If passed by the City, the property could then be purchased by Hall County for park development. 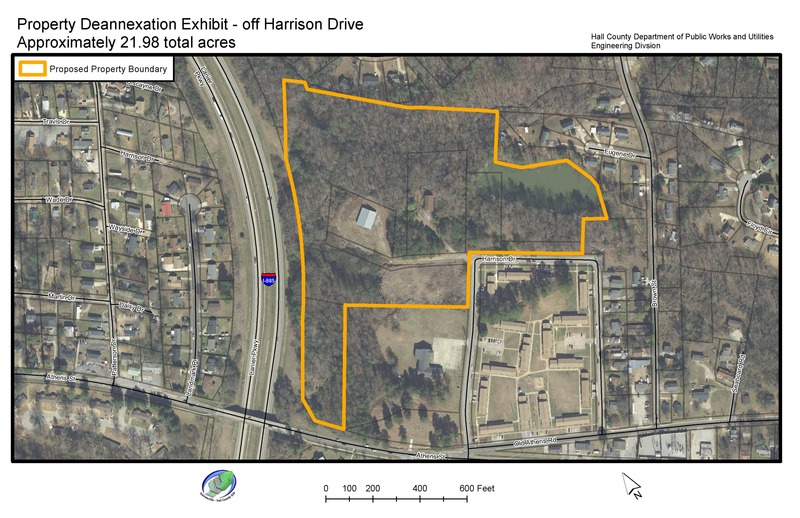 The 21.98 acres of land requested for deannexation stretches between Harrison Drive, Athens Street and Interstate 985.